The first quarter saw a flurry of interest among foreign investors in LNG-fired power projects in Vietnam. Thailand’s Gulf Energy Development Public Company Limited (Gulf), at a meeting in early March with Ninh Thuan authorities, expressed interest in building a $7.8-billion liquefied natural gas (LNG)-fired power complex in Ca Na, a coastal commune in the central province of Ninh Thuan. It will have four LNG-fired power plants with a combined capacity of 6,000 MW to be built in build-operate-transfer (BOT) or other modes. An LNG regasification terminal will be another key component of the complex. Ninh Thuan recently sent to the Ministry of Industry and Trade a proposal to add the Ca Na power complex to its development plans for appraisal. The proposal will be submitted to competent authorities for approval later. Pham Van Hau, the province’s Vice Chairman, said once the proposal is approved Ninh Thuan would release the criteria for choosing investors, with Thailand’s Gulf Energy being one of the candidates. In addition to Ca Na, Gulf is also eyeing a 5,000 MW gas power complex in the southern province of Dong Nai and said it is ready to supply gas-fired power technologies to companies in Vietnam. The Korea Electric Power Corporation (KEPCO) last year reportedly surveyed Ca Na for a 40-hectare site to build an over 3,000 MW gas-fired power plant. Vietnam is struggling to develop its energy sector since many coal-fired power projects have been behind the schedule, its hydropower potential is almost fully exploited and oil and gas reserves are running low. In that context LNG-fired power plants will play a critical role in the country's energy mix in the future, experts say. Last week, a working group from the German Development Bank (KfW) led by Michael Brandes, vice president for Power & Renewable projects in Asia Pacific met with PetroVietnam Power Corporation (PV Power) executives in Hanoi. As PV Power reported in its website, at the meeting Nguyen Duy Giang, deputy general director of PV Power, highlighted his firm’s upcoming projects, especially Nhon Trach 3 and 4 gas-fired power projects. Brandes sought information about PV Power’s projects and how the Vietnamese firm plans to raise capital for them. Also last week, Giang met with representatives from Japan’s Sumitomo Mitsui Banking Corporation (SMBC) and Japan’s energy developer JERA Co. The Japanese guests said they are eager to partner with PV Power in implementing its upcoming projects, including Nhon Trach 3 and 4 power plants. Earlier, PV Power and PV Gas, both subsidiaries of the state-run PetroVietnam, signed a deal on PV Gas supplying LNG for Nhon Trach 3 and 4 plants. The projects, with a combined capacity of about 1,500 MW, will be the first in Vietnam's chain of upcoming LNG-fired power plants. These projects and Thi Vai LNG re-gasification terminal project in the southern province of Ba Ria - Vung Tau are pioneering projects that are set to play a very significant role in the development of PetroVietnam and the country’s oil and gas industry at large. In January Prime Minister Nguyen Xuan Phuc spoke about the necessity for a $4 billion LNG-fired power project in the southern province of Bac Lieu at a meeting with provincial officials. Bac Lieu was seeking the addition of some renewable energy projects and the LNG power plant to the revised national Power Development Plan VII. Earlier it had asked to have an LNG-fired plant with a designed capacity of 3,200 MW developed at a total cost of $4.3 billion. The provincial authorities and the US-backed joint venture Energy Capital Vietnam last year signed a memorandum of understanding on developing the project. PM Phuc underlined the project's significant addition to the national power plan, and instructed the Ministry of Industry and Trade together with other relevant agencies to review and make a final decision on this project. Bac Lieu and related ministries and agencies have also been instructed to meet with investors to assess the project and spell out investment conditions so that the construction could begin soon. The revised national Power Development Plan VII envisages total power generation to reach around 129,500 MW by 2030. Of this 19,000 MW will come from gas-fired power plants, including LNG. 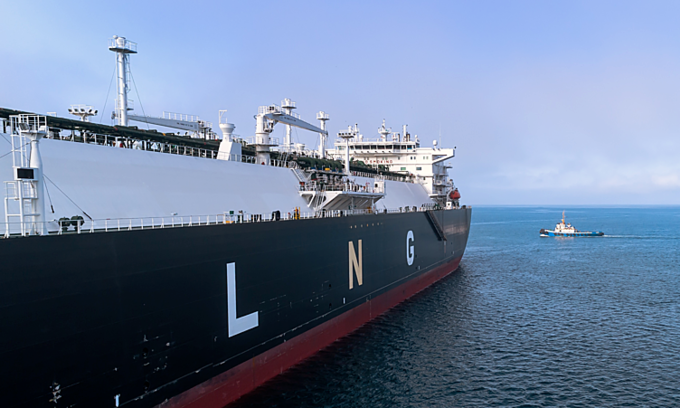 Under the country's gas industry development plan by 2025, with vision to 2035, Vietnam plans to have six LNG terminals at a total cost of more than $6 billion. The World Bank has estimated Vietnam’s electricity demand to grow by around 8 percent a year for the next decade, and said it would need to invest $150 billion by 2030 to develop its energy sector.